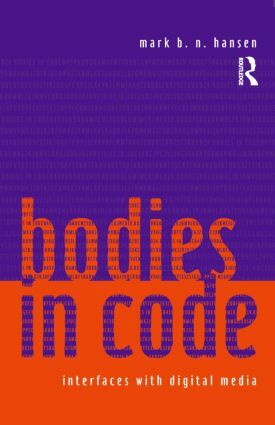 Bodies in Code explores how our bodies experience and adapt to digital environments. Cyberculture theorists have tended to overlook biological reality when talking about virtual reality, and Mark B. N. Hansen's book shows what they've been missing. Cyberspace is anchored in the body, he argues, and it's the body--not high-tech computer graphics--that allows a person to feel like they are really "moving" through virtual reality. Of course these virtual experiences are also profoundly affecting our very understanding of what it means to live as embodied beings.